In May, we published the post, 20 Fun Free Tools for Interactive Classroom Collaboration. Given the high level of interest in this topic, today we offer a guest post with 5 more fun tools for collaborating in (and out of) the classroom! 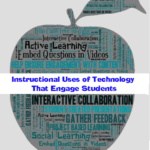 The 2014 Gates Foundation report, Teachers Know Best: What Educators Want from Digital Instructional Tools, informed us that teachers want tools that support student collaboration and provide interactive experiences. Through collaboration, students are able to learn team building, which benefits them for the rest of their lives. 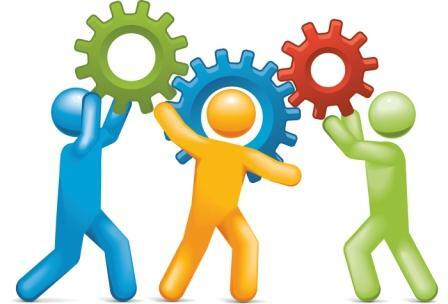 Collaboration is an activity that allows students to team up to brainstorm and work on a same project. Teachers appreciate collaboration in the classroom because it encourages student participation and engages them, opening them to further learning. These types of tools can also be fun! For the teacher, classroom collaboration is also a way to learn what students are thinking, which in turn can inform how best to teach them. With the evolution in technology realm, collaboration has now become more convenient and productive than ever. The internet offers tools that can be used by teachers to collaborate with students to encourage engagement in and outside the classroom. Flowboard is a free app that allows users to create presentations on the iPad. You can add images, text and video to the presentation to make them look more appealing and informative. This app lets students make group presentations on topics assigned to them. When working in groups, students have to cooperate with each other to make a presentation that explains a particular topic to the rest of the class. Matt Coaty, a gifted specialist at Spencer Loomis Elementary School, uses FlowBoard in his classroom to allow students create brilliant presentations by cooperating with each other and using whatever useful resources they get their hands on. Podio is basically a project management system. The one thing that separates Podio from other collaboration tools is the workspace it offers. These are separate work areas built out individual apps. These workspaces allow students to interact and collaborate with each other and their instructor. It also allows us to make a to-do list or share documents with our classmates or friends. Documents can be shared via social networking websites like Facebook, which enable us to conduct research like surveys or questionnaires within a short span of time. One feature that allows ease of access to students is the mobile feature. Podio’s mobile app allows its users to communicate and make notes easily on the go. Debate graph is a web tool that combines argument visualization and collaborating editing to make the public debate freely available for all. It allows teachers to discuss study topics online with their students. It can be especially useful in cases where distance learning is involved. Teachers who are teaching from their home or to students who live in some other country benefit from using apps like DebateGraph to communicate with their students. Dweeber is an internet tool that allows young students to have study sessions with their friends, and discuss their homework. It allows students to solve problems, talk about issues and share ideas on projects. Dweeber is effective in cases where students need to join their heads as a group to complete tasks. The fun it provides, outside the premises of school, is exactly what makes it an interesting and helpful tool. Students can share their profiles, and the websites with each other to earn points. The best part about Dweeber is that it is completely free of cost. So get collaborative with your teaching and learning, and have some fun in the process! Alan John is an experienced blogger with core expertise in various different writing niches such as education, health, travel, lifestyle, career and technology. Apart from his hectic schedule he takes out some moments for his leisure time and enjoys reading books and watching action movies. He is currently associated with Essay Writing Service UK and can be found on https://www.facebook.com/essayarena. This seems to be the latest greatest technology for collaboration by students. It sure beats the telephone help from a friend that I had when I was in school. It’s a keeper. Thanks.